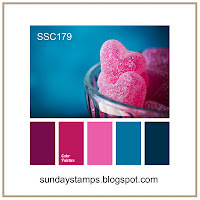 Sunday Stamps provides a fun bi-weekly challenge, alternating between sketches and color palettes to inspire. 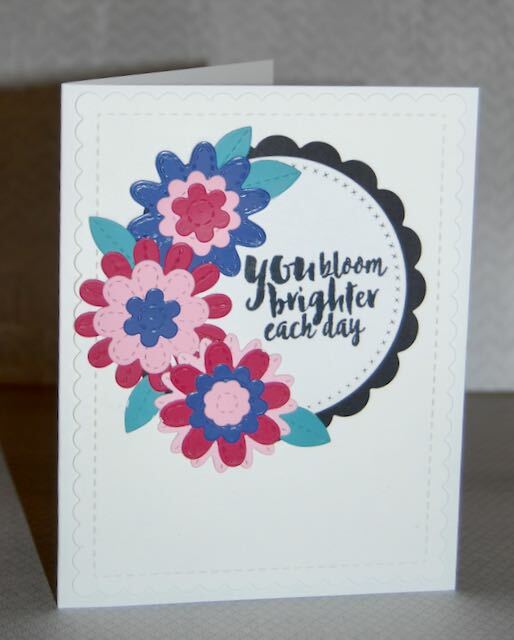 The bright hues included in this photo inspired me to create a cluster of blooms using MFT's Stitched Flower dies and the bright blooms are perfect for a sentiment from Verve's Bloom Brighter. Other dies include a scalloped circle from Reverse Confetti, a stitched circle from MFT, and a stitched, scalloped layer from Newton's Nook. Thanks so much for stopping by. Have a blessed Memorial Day. We have much to be thankful for. What beautiful blooms you've created! Love those stitching details... This layout is perfect for showing off our colors, lol! Thanks so much for playing at Sunday Stamps! How pretty! Love those little die cut flowers, great design too! Thanks for joining us at Sunday Stamps, hope to see you again soon!